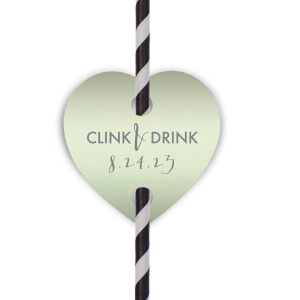 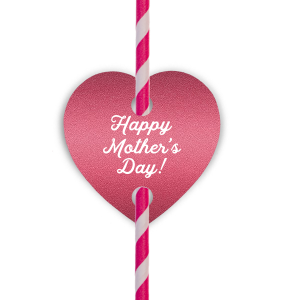 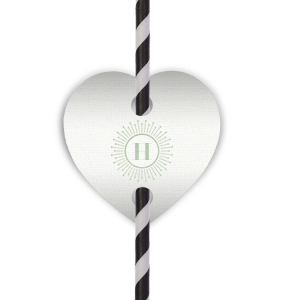 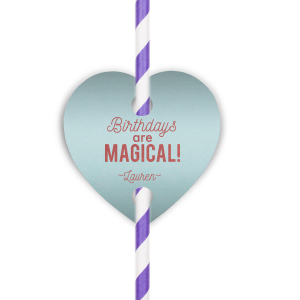 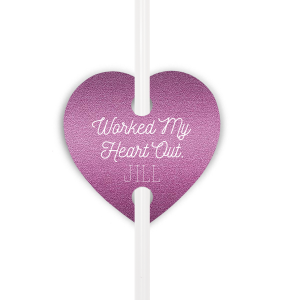 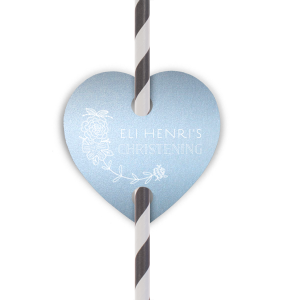 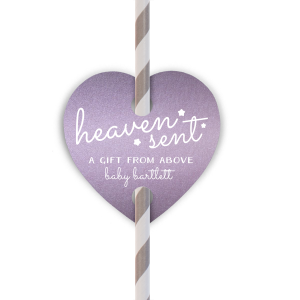 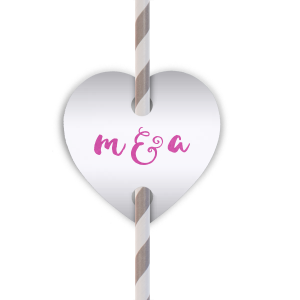 Decorate special event drinking straws with the mark of your occasion with 2" x 2" paper heart straw flags from ForYourParty.com. Perfectly playful and popular for weddings, birthdays and kids parties, our personalized straw flags can be designed and ordered right here by using the on-page customization tool. Design your own from scratch or start with one of our many pre-made professional designs, including Stardream Jupiter Red paper with matte white print. 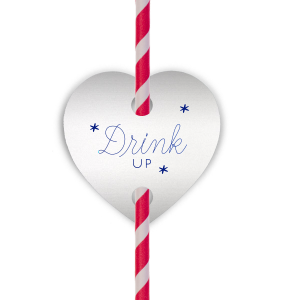 Each straw is 7.75" tall, sold in lots of 50 and arrives with flags unassembled.